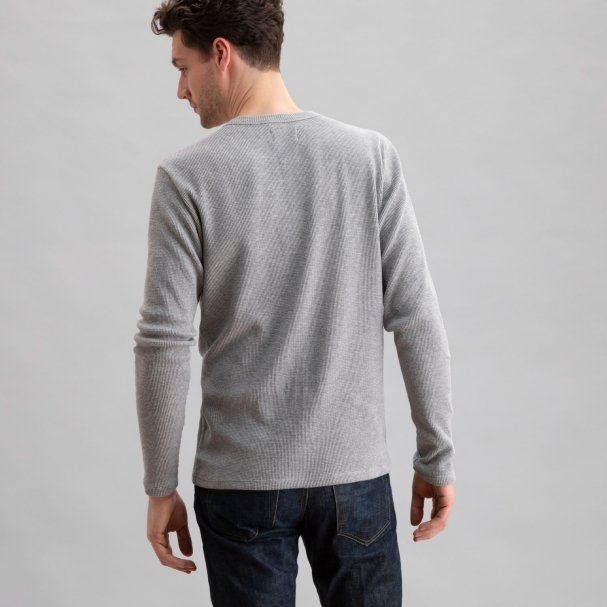 Waffle knitting is designed to create a honeycomb effect meant to trap your body's warm air inside the fabric. 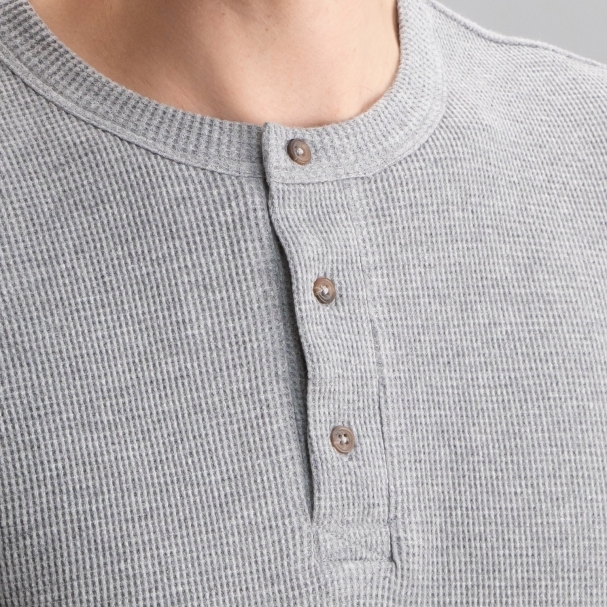 Traditionally, waffle knits (also known as thermals) were used in undergarments worn against the skin during cold months. 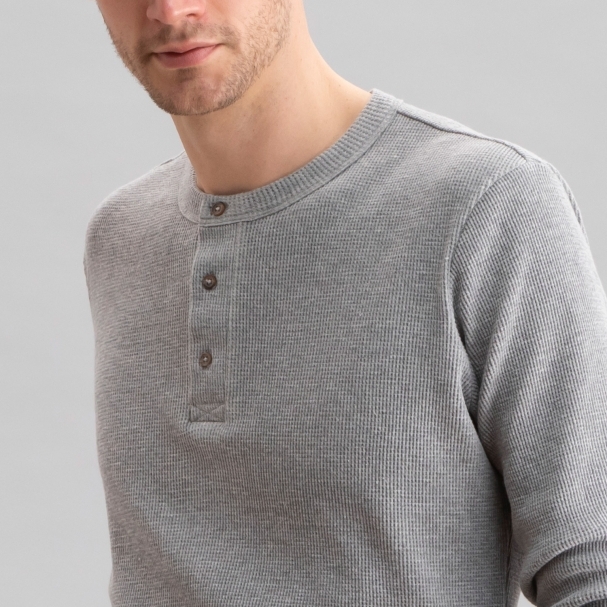 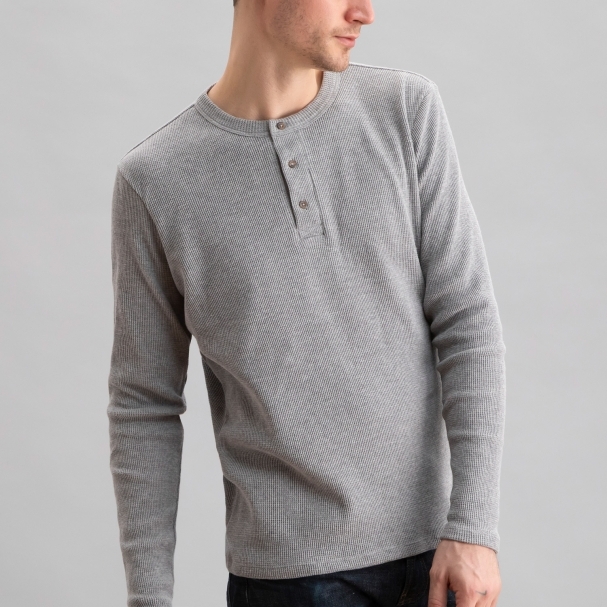 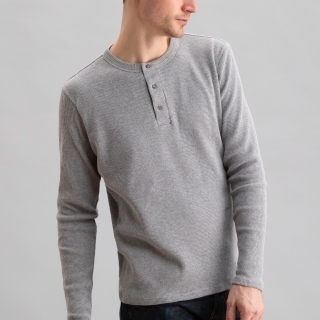 This classic 3-button Heather Grey Henley can be worn as a top-layer (same as a t-shirt) or layered under overshirts or sweatshirts.